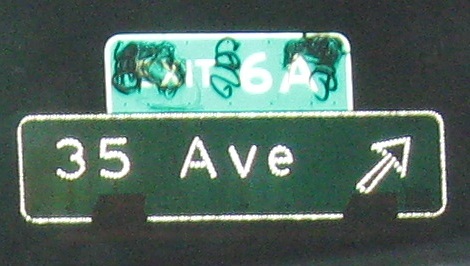 I-695 was not truly a highway number until 2008. 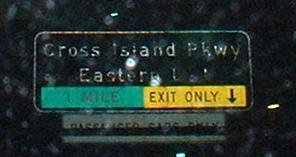 It had been NYSDOT's name for I-295 Spur, which is what the FHWA called the highway connecting the Throgs Neck Bridge to the New England Thruway. 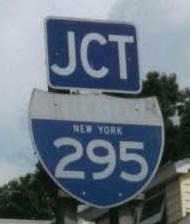 For once, the FHWA finally agreed to NYSDOT's plan and let the 695 stand. 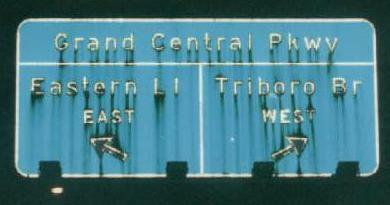 Former EB frontage sign at Exit 11 in the Bronx pointing to I-295 SB; this and the shield at top are courtesy Doug Kerr. 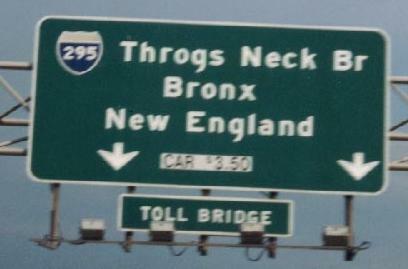 SB, crossing the Throgs Neck Bridge and on the other side. The custom speed limit sign is for Conditions Permitting. SB at and onto the last exit from I-295, second photo courtesy Doug Kerr. Click the first photo to see an older legend beneath; curiously, the "Passenger Cars Only" looks older than what it replaced. 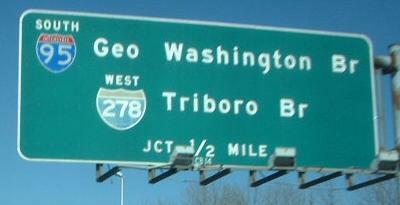 NB at the beginning of I-295, first photo courtesy Doug Kerr. 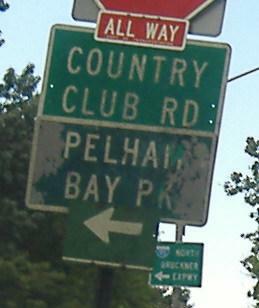 The last exit in Long Island, courtesy Mike Byrnes. 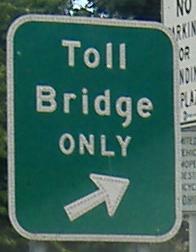 Click to see what it looked like with a toll price instead of an ETC label, courtesy Doug Kerr. 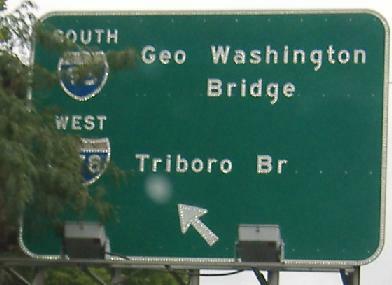 The western frontage road as I-295 approaches the bridge... except this is facing north. 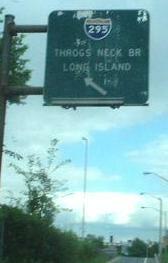 Up to the southernmost cross street, each frontage road only goes one-way, but this one's two-way to Lawton Ave.
Click to drive the Throgs Neck Bridge southbound. The NB frontage road of I-695 at Layton Ave., where it ends. Traffic has to jog left to get to I-95's NB frontage road. 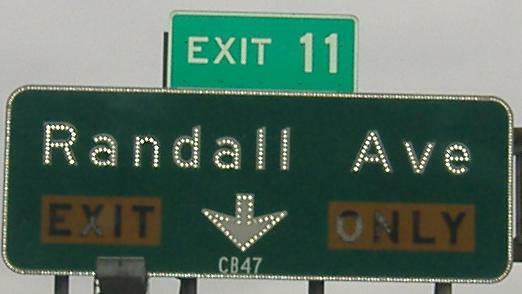 Randall Ave. EB at the eastbound frontage road of I-295 SB while it's still the Cross Bronx Expressway Extension. 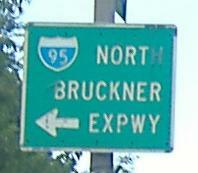 The first SB exit coming from the Bruckner Interchange. 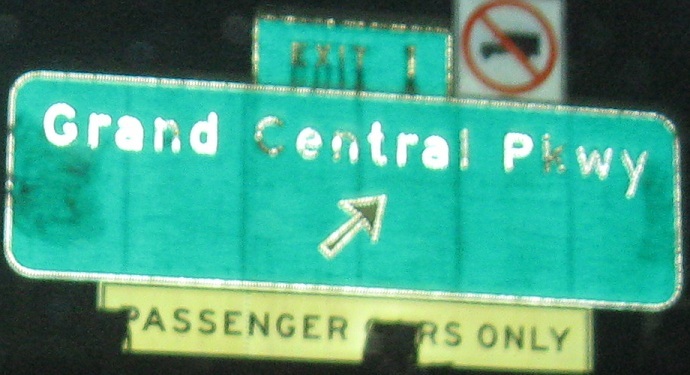 WB on the I-295 NB frontage road, the onramp from Randall Ave.
NB approaching the end of I-295 at the Bruckner Interchange. Click on the middle photo to see a construction version of it courtesy Doug Kerr, where the ramps got all switched and so did the signs. The first photo is also from Doug. 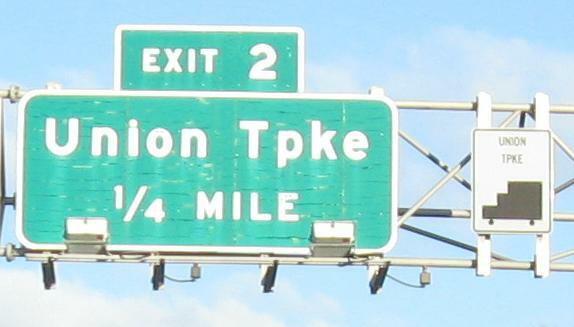 Exit 2 to Union Tpke.